All Alison ever wanted for her six children was a blissful childhood. Together with Ingrid, the family au pair, she transformed a shabby Edwardian mansion into a veritable shrine of togetherness, complete with special-occasion dinners on exquisite Limoges china and elegant birthday parties on the sprawling lawns. For explosive Paul, precocious Gina, pretty Sandra, adventurous Katie, clever Roger, and flighty Clare, their home seemed the perfect place to grow up. But was it? As adults, the children return to Allersmead one by one. To their home-making mother and aloof writer father, and a house that for years has played silent witness to the family’s secrets. And one devastating secret of which no-one speaks. Quietly provocative and utterly compelling, Family Album is a highly nuanced work that showcases a master of her craft. "Penelope Lively is perhaps best known for her Booker-winning MOON TIGER. . .This, written. . .with a searing and entirely contemporary eye, should be rated as one of her most impressive works." "FAMILY ALBUM shows Penelope Lively at her best, sharp-eyed but sympathetic, deftly steering the reader from one point of view to another. This novel should delight her regular readers and ensnare new ones." "Her new book, her sixteenth novel for adults, will disappoint neither her loyal fans nor readers coming to her for the first time. It is a strange, haunting work about the secrets that lie beneath the surface of a seemingly ordinary family.. . ."
"This is a very engaging novel, continuously interesting and often moving because Lively has so thoroughly imagined her characters and writes of them with wise sympathy. It reads so easily that you might suppose it was easy to write. But this kind of novel is much harder to bring off than one packed with striking incidents. It is also, happily, more rewarding to read." "Alison wants the world to know that she presides over a large, happy, close-knit family. She and her distracted, uninvolved scholarly husband, Charles, have a brood of six who, along with Ingrid, the au pair, fill Allersmead, a somewhat worn, sprawling Edwardian English manse. Through the masterly use of emotional intricacies, Lively gradually reveals the simmer beneath the surface that belies the image of unity Alison has insisted on for decades…"
"With its bountiful characters and exhaustive time traveling, Lively's vivisection of a nuclear family displays polished writing and fine character delineation." "One of those ridiculously simple, ridiculously readable novels whose artistry only becomes apparent when you put it down with a sign of regret, having devoured it in one sitting . 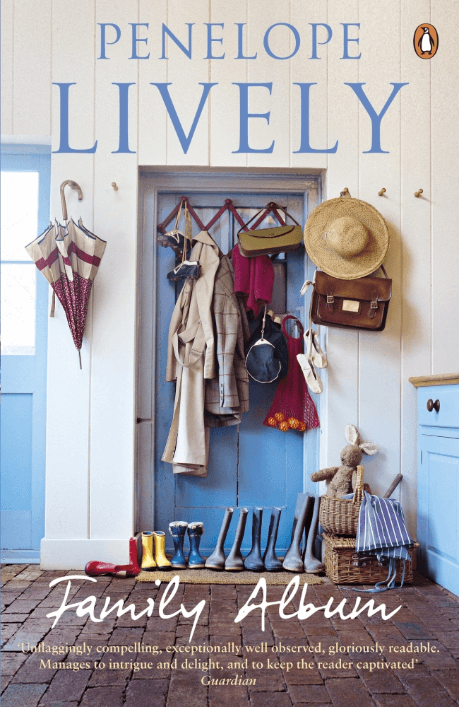 . . Lively still displays an economy and an elegance that put younger writers to shame." "A pleasure to read, hugely enjoyable, consistently absorbing, hilarious."